My original Vienna Cafe Reviews story, published in March 2017, included a story about a customer having a bad experience trying to get the bill, back in 1986. A couple of my Austrian friends sprang to the defence of the waiter. Sure, Vienna cafes had a charming, the-waiter-is-always-right serving ethos, they said. But who wanted subservient waiters? The attitude of Vienna cafe waiters was all about the dignity of labour, and standing up for the right to be treated as a human being. I recommend the Cafe Schwarzenberg, which is not the cafe referred to below! I was not so sure. Indeed, these comments reminded me of my 2004 Financial Times piece “When dinner becomes the last supper“, which begins: Friends from Paris, Madrid or New York often ask me: “Why are German waiters so brilliant?” It’s a satire, by the way. 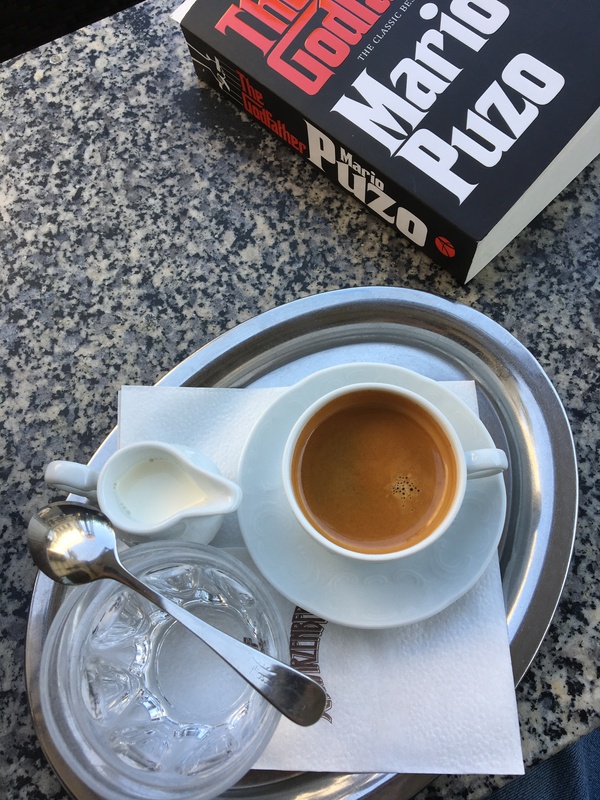 Indeed, I have been in many Vienna cafes (the Sperl, the Bräunerhof and the Tirolerhof spring to mind) which are as traditional as they come, but where the waiters go about their business is an efficient and thoroughly satisfactory way. Is there any contradiction between efficiency and tradition? I’d welcome your views. Meanwhile, I thought readers might be interested to read the full story of that 1986 experience. It goes as follows. I had been invited to lunch by a friend from the Vienna Town Hall (the mayor at that time was Mr Zilk). My friend suggested we go to a certain cafe, famed for its traditions. We duly arrived at the cafe, and sat down to eat a perfectly decent lunch. When the time came to pay, the waiters were clustered around a cash machine on the far side of the room. My friend signalled to the head waiter that he would like to pay. ‘Komm’ gleich,’ came the answer (‘just a moment’). Time passed. My friend, embarrassed at the delay after his talk of terrific service, again signalled that he would like to pay. ‘Komm’ sofort,’ the head waiter said (‘I’m coming immediately’). More time passed. By now, it was getting late, for both of us, and my friend was becoming agitated. Again, he signalled for the bill. ‘Bin schon da,‘ the head water shouted (‘I’m there already’). By this time it felt as though the afternoon were well advanced, although in fact not more than 20 minutes had passed. After waiting a little longer, my friend rose to his feet. He drew himself up to his full height, and shouted across the restaurant. Let’s be clear. This kind of thing does not happen every day. As I say in my reviews, most Viennese cafes are excellent; I visit them regularly and enjoy their traditions. But at one or two of them, it still helps to be patient. P.S. This is a true story. If my generous host that day is reading this, do get in touch! By Robert Pimm in Reviews, Robert Pimm on 10/02/2018 . Diese rüde Antwort des Oberkellners ist tatsächlich ungewöhnlich. Aber das Zahlen ist in den meisten sogenannten Traditionscafes,dazu gehört auch das Cafe Landtmann, gewöhnungsbedürftig für den Nicht-Wiener. Der Schriftsteller Hans Weigel vertrat die These, dass die Wiener Kellner in der Kellner-Schule lernen, dass sie erst nach der dritten Zahlungsbitte, sich in Bewegung setzen sollen. Über die Gründe dieses Brauchs ist allerdings nichts bekannt geworden.